Howea (Howea spp. ): growing, planting, caring. A small palm for your home. Scientific name : Howea spp. Howea is a genus of two palms, H. belmoreana and H. forsteriana, both native to Lord Howe Island, Australia. 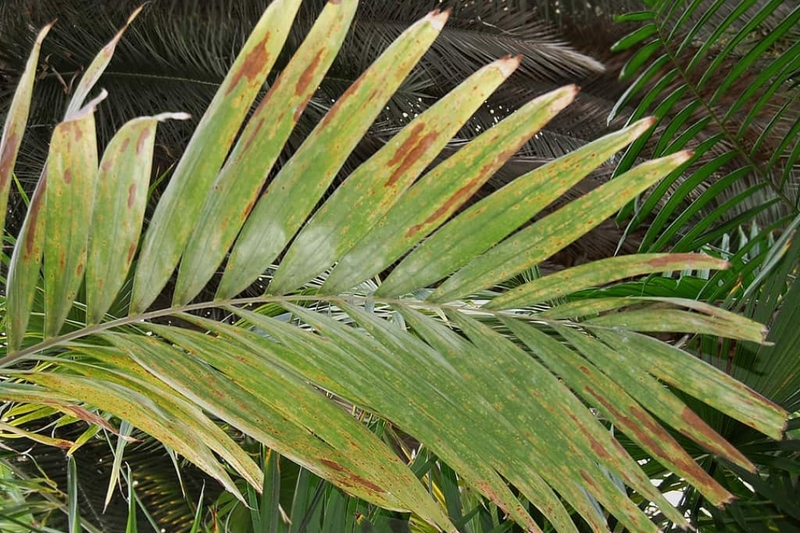 Both Howea species are unarmed, monoecious palms of moderate size, with pinnate leaves. H. forsteriana has rather flat fronds with elegantly drooping leaflets, while H. belmoreana has curved leaves with erect leaflets giving the fronds a more angular appearance. H. forsteriana in particular is commonly grown as an indoor plant. If you are lucky to have had flowers, or if you find seeds, know that it will not be easy to succeed, but fun! After soaking the seeds one night, the seeds can be sown in a bucket in the spring between 26 and 28 ° C.
Every two or three years, repot your palm tree, cut 1/3 of the roots, and replace 1/3 of the earth. If it is too big to be handled you can replace the top layer of soil with new potting soil, or some compost on about ten centimeters. Areca has variable watering needs according to the season - up to twice a week in the summer, and very little in the winter : keep the substrate dry for a few days between waterings. You can prune the dryed leaves, it does not hurt, it's prettier, and it even stimulates regrowth! Keep your potted palm trees sheltered from frost by bringing them inside, near a window but protecting them from the sun - it is a forest plant, and prefers partial shade. In April-May, in any case after the last frosts, if you can, take out your pots! Hop, everyone outside! Find a location sheltered from the wind, and not too sunny either, at least the first days: the areca will appreciate a smooth transition ! Indoors, attacks of red spider and mealybugs are possible: they cause damage to the leaves. A simple washing with a cloth and clear water helps to stop these attacks. To compensate for the low air moisture inside, you can spray the palms with non-calcareous water and place a cup filled with clay balls and water under the plant. Remember to regularly remove the dust that is deposited on the palms with a wet sponge: the leaves will perform better photosynthesis!